Bollywood is ready to welcome another set of star kids this year with Karan Johar’s upcoming production, Dhadak. The film marks the debut of late actress Sridevi and Boney Kapoor’s daughter Janhvi Kapoor. It also stars newbie Ishaan Khatter who is Shahid Kapoor’s brother. As the duo’s trailer released earlier this month, the fresh pair is pretty stoked to see the audience’s reaction to the Sairat adaptation. Now, we hear the first track from the film will be released on June 20. 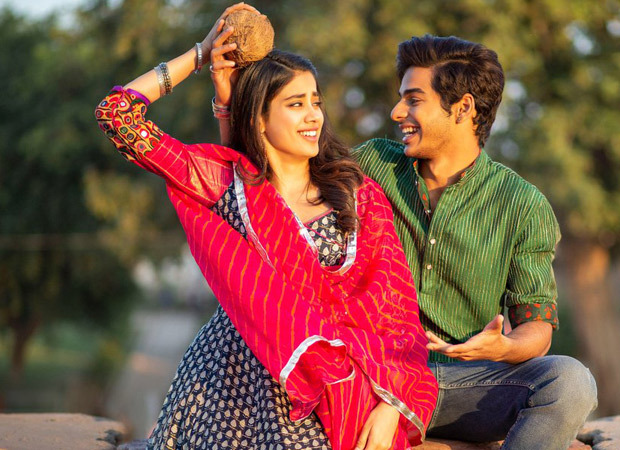 Dhadak is the Hindi adaptation of Marathi blockbuster, Sairat. The original film starred Rinku Rajguru and Akash Thosar and was helmed by Nagraj Manjule. Dhadak is produced by Dharma Productions and is directed by Shashank Khaitan. It follows the story of Madhukar and Parthavi and their fierce and unconditional love that fights fate. But as their love grew, so did their problems as their families reject their love. Dhadak also stars Ashutosh Rana and is slated to release on July 20, 2018. Quentin Tarantino: Whose Bright Idea was This?